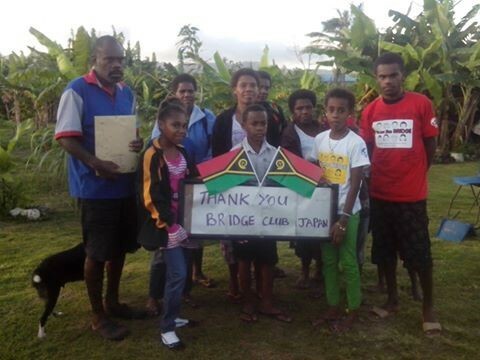 Bridge Club Vanuatu and Bridge Club Families gather together to receive the assistance that BC Japan represented by the President, Misaki Naito handed over to Kalsav James, 2015 PA. We acknowledge such contributions as we know it comes from your heart to help cyclone victims in Vanuatu. The Money was received by BC Vanuatu President. Ian Kalsuak.